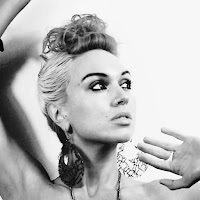 EVEN THE STARS: Track Of The Day : JJ Rosa - Where Is The Mercy? JJ Rosa has been building a growing following around Manchester over the past year or so gathering high-profile support from the likes of Clint Boon and Rowetta. Her new single Where Is The Mercy is released today and all proceeds from it, and the launch event at London's Cargo tonight, will be donated to The International Federation of Red Cross and Red Crescent Societies supporting victims of events like the recent atrocities in Paris. JJ poses the question "Where is the mercy in the world right now? Is there really someone looking down?" as a response to the . The song itself is bold and uplifting and showcases the whole range of JJ's show-stopping voice to a dramatic and thrilling electronic backbeat. JJ Rosa's official website can be found here. She is also on Facebook and Twitter.